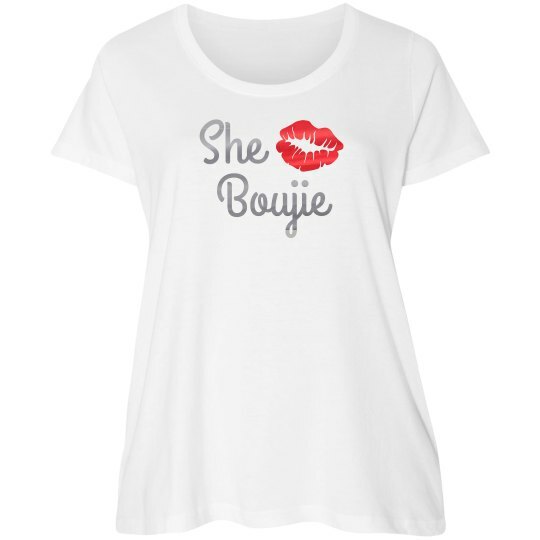 She Boujie with Lips design by Boujied. Silver Metallic Text. Red Metallic Lips.